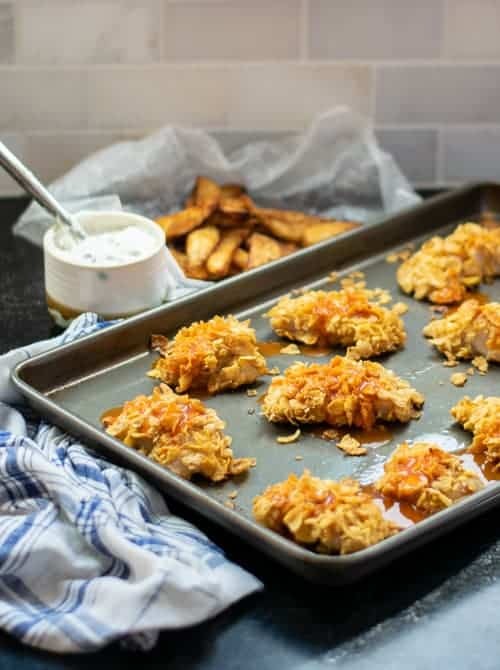 Bake Buffalo Catfish is a favorite family recipe around our house. 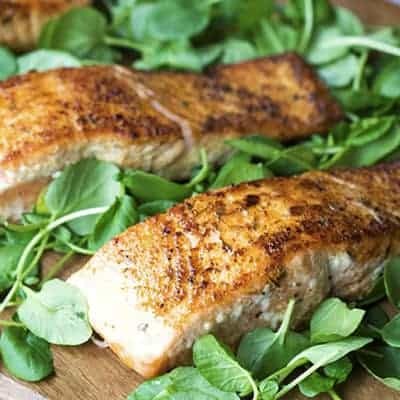 It’s an easy, healthy alternative to fried catfish. 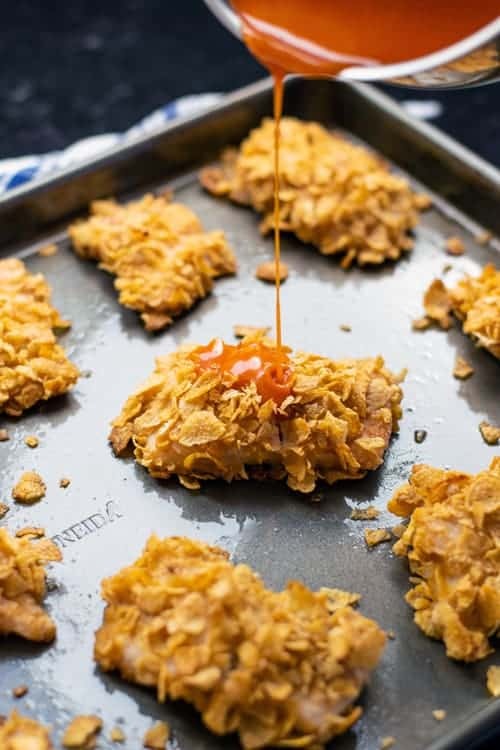 Using cornflakes makes the crust extra crispy, and the buffalo sauce makes it over the top delicious! 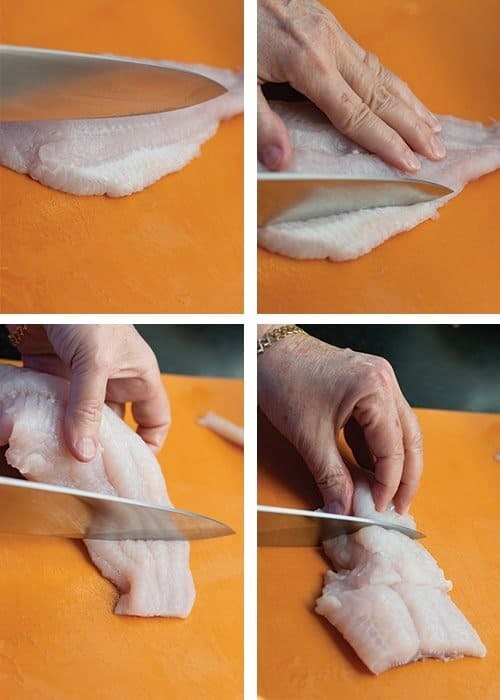 The first step to making this delicious recipe is trimming your catfish. 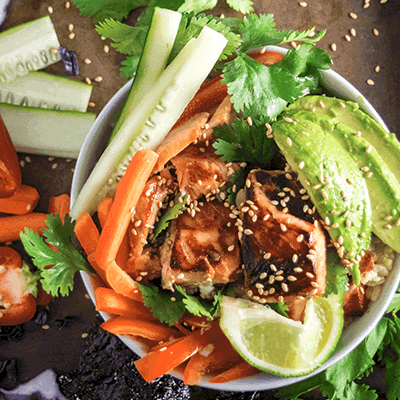 This recipe does best when you cut the catfish into smaller pieces. You want to cut off the fatty pieces and the end of the tail because they get too mushy when you cook them. 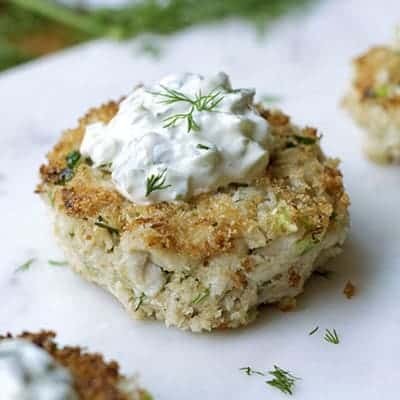 Once you cut the filet into quarters, mix together some flour and seasonings into a bowl, pour some buttermilk into another bowl, and crush up some corn flake for the third bowl. 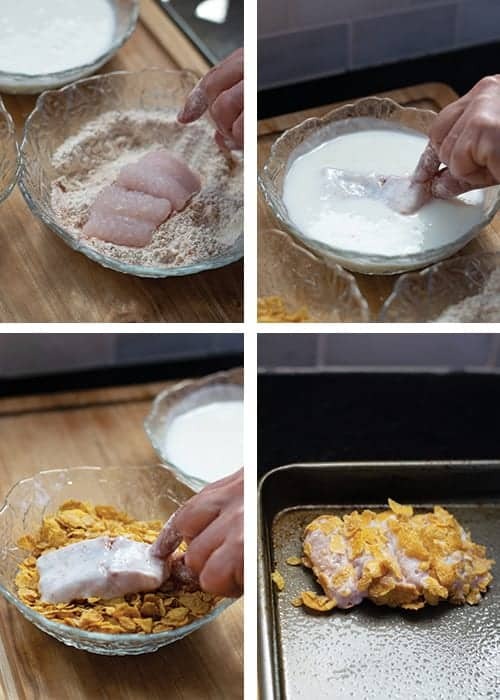 Dip the catfish in the flour, then buttermilk, then cornflakes, and place on the greased baking sheet. Then bake the catfish at 400 degrees for 20 minutes. You know they are done when the largest piece flakes apart when you stick a fork in it. Then pour your Buffalo sauce on top! Yum! 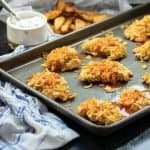 We like to eat our Baked Buffalo Catfish with Homemade Tartar Sauce and Zesty French Fries.